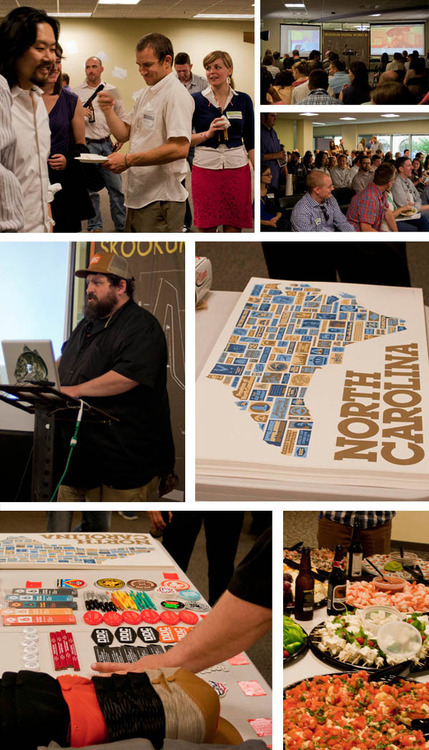 Months ago, when AIGA Charlotte & Skookum Digital Works began talks to bring Aaron Draplin to Charlotte for a TALKabout, I did what I am sure a lot of people did: I got giddy that a big celebrity designer was coming to inspire our community. I think we all tend to get a little starstruck when meeting designers that have been written up in big publications like Communication Arts or have widely successful brands like Field Notes but after meeting Aaron Draplin I realized that he’s just a regular guy who has amazing talent, works really hard, and really loves his parents. Imagine that. Aaron started out like a lot of us. He didn’t really know what he wanted to do with his life and worked hard to figure it out. Along the way he designed stuff he was proud of (and probably some he wasn’t) and just kept moving forward. 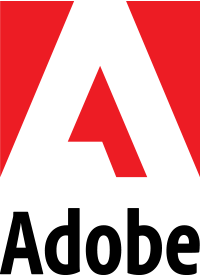 There is no one client that put him on the map or one project that changed the way he worked or the size of DDC. Over time he’s made a name for himself and done some great work that has allowed him to earn enough money to take care of himself, his parents and whoever else he comes across. In other words, he’s just a regular guy. -This was one of AIGA Charlotte’s best attended events in the 13-year history of the chapter. -The food was really, really good. Common Market really outdid themselves. That pimento eggplant toasted thingy? Yum! -Although Draplin has given this talk countless times (almost 30 in 2013 alone), it still feels really fresh. It was humorous, emotional, interesting and—of course—inspiring. -“F*ck purple.” He really doesn’t like purple. -I had heard about how much he loved to cuss so I thought it would be fun to try to count how many swear words he said. I stopped counting when it hit 60 during the two-hour presentation. -“It’s not about bigger and bigger,” in reference to why he doesn’t grow DDC. -I really enjoyed how unapologetically he adores his parents. Also, they seem pretty cool based on the stories he told. -“I know how you vote down here.” He said it so many times someone in the audience felt the need to defend us. -He loves the little guy. Just see the awesome work he’s done for brands like Cobra Dogs. -“My friends want to go to India. I want to go to Indiana.” He said this when talking about his love of road trips in a van. -There are parts of his presentation that he wants to keep under wraps (no recording, no Tweeting.) I really hope people respect his request because if they do it means even if someone does a ton of googling before seeing him speak, there will still be some surprises. In this day and age, that’s kind of cool. -Like touring isn’t enough, he actually makes a poster for each state he tours to. The NC one is on my wall as I compose this. I also had the pleasure of sitting across from him at dinner after the event where he continued to win me over by showing me pictures on his phone of his nephew’s birthday party and a giant color-spectrum afghan his mom made him and sharing stories about his perfect idea of a guy’s weekend, which was visiting the World’s Longest Yard Sale. Like I said, he’s just a regular guy. AIGA Charlotte would like to thank CRAFTED for all the promotional materials for this event, including the banner at the top of this post.